I didn’t plan to take a break from the podcast, but life happens. I’ll tell you more about that in this episode plus, an update on a RMM Radio Alumni. Finally, a taste of my new podcast with my co host Doctor Dre from MTV, Hot 97 & more. This is a different sort of episode. I wanted to take a little time to give an update on a few things podcast related – which includes some personal updates. But this is an episode so let’s get it started properly. If you’ve been listening to RMM Radio for a little while you hopefully remember, Penny Melville Brown one of the three Holman Prize winners featured here on the podcast in 2017. She’s the host of Baking Blind. As the winner, she was in the midst of her world tour where she’s cooking with different people in various countries. Right now I want to ask you all to join me in sending support and get well wishes to Penny who was in a car accident in France. The injuries were pretty severe – enough where she was put into an induced coma for 5 weeks. The link to her YouTube video explaining the accident and her latest challenge is on Reid My Mind.com or go on over to Baking Blind in YouTube. Please give it a watch and send her a tweet or email wishing her well. Penny, you go ahead do what you do and get better soon! For those who heard your story here on the podcast, they know a bit about your determination and there’s no doubt in my mind at least, you have what it takes to recover from this accident. Take your time and get well. We need you out there doing your work… Baking Blind! And you know what I want to hear from you right? It’s good to be back recording this podcast. In fact, that’s the reason I was away… my back! For the past couple of years I’ve been dealing with a herniated disk. It was becoming more and more debilitating. I found myself spending way too much time in bed because it was too painful to sit and stand. The bed was a very limited source of relief. I tried, but it’s really challenging to be productive in bed. I was nervous yawl! I didn’t want to get surgery but I didn’t want to spend more time in pain not getting anything done. I have some more recuperating to do but so far I think I’ll be putting on my dancing shoes sooner than even I thought. I have more Reid My Mind Radio coming up soon. In addition, I have a new weekly podcast. This time I have a partner. Doctor Dre. Dre. Dre and I met when I interviewed him last year about his experience with vision loss following complications of Diabetes. Our podcast is called 2BlindMics. This one is featuring Rodney Carter former NFL running back for the Pittsburgh Steelers. we call the full episode first and 10. Go ahead and subscribe to the podcast. It’s now available on Apple Podcast, Google Play, Spotify, Stitcher and Tune In. Now, I’ve been sitting too long and need to walk around and stretch this back and these legs… I have some dancing to do! PennyPushUps since 2013 has been my family’s awareness and fundraising campaign to spread information about Retinoblastoma, the childhood eye cancer that is responsible for my loss of both my eyes. As the parent of a RB survivor it seemed right to try and do something to spread awareness. The original idea was pretty straight forward; I’ll complete 100 push-ups a day and you sponsor me like a walk-a-thon just 1 cent per push-up… do the math! The campaign turned into us sharing our story as well as others impacted by the cancer. Probably not a shock considering I enjoy telling people’s stories. The shock was I thought I could easily do this on video. Fortunately, I wasn’t 100 percent wrong. (Non visual video editing is possible… I do it!) Even more fortunately, my wife thought she could do a better job at the video production. She was right and she began to earn her keep and her name… Super Producer Marley Marl now formally known as Super Producer Marlett! It became apparent that people weren’t really interested in my push-ups. One of the comments on the videos went something like; “Really interesting and important but why is there a guy doing push-ups.” LOL! I guess they didn’t listen to the introduction which summarized everything I just said about the campaign. 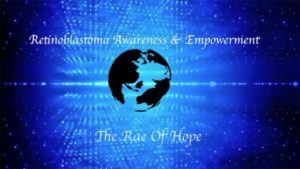 Focusing on raising awareness & empowering others while raising funds for World Eye Cancer Hope the name sort of wrote itself when we let the universe take over… The RAE of Hope, “Shining a light on a childhood eye cancer”. We just finished airing our first full week of videos. We post them to our Facebook page “The RAE of Hope” and via YouTube. I would love for you to come on over and “Like” our FB page or follow us on twitter @TheRAEofHope. The stories this year feature a bit more in the way of video production but the full story is told via audio. In fact, this year we incorporated closed captions available via YouTube, so we’re fully accessible – the way it should be! Below is our playlist of all our videos so if this works properly you could pretty much bookmark this post and watch the latest video as we move through the month. We post new videos every Monday, Wednesday and Friday. Tell a friend and help us spread the word about Childhood Cancer it can truly save a life and sight! Last week soon after arriving home for lunch, while seated at the island in our kitchen, my wife Marlett read a text message out loud; Prince died? Hearing this as a question while making myself a cup of tea I responded, Prince who? As if there was anyone else! The rest of the conversation was probably repeated thousands of times all over the world. Knowing that Twitter and the internet in general kill random celebrities pretty frequently, we looked for multiple sources to confirm. That was about the time I received a notification on my phone from the Tune In app alerting me that CNN was covering the death of the legendary musician. Marlett and I both wondered aloud about the reason behind his death. We talked about how it really hurts losing artists from our generation. These sorts of conversations can easily turn morbid where we begin to wonder about our own deaths. In fact, this seems to be where so many people focus – the death. Since his passing, I’ve seen a lot of social media focused on warning us all to get our health checked. Posts encouraging various artists of our generation to do the same. I know I felt that when I went through my second cancer… The first of which I was born with so I guess no one could blame me… The pseudo health experts in my life who I personally witnessed consume fried, fatty foods followed by large amounts of alcohol and engage in other activities that some may believe to be associated with an unhealthy lifestyle all of a sudden want to share tips on what I should consider in order to prevent cancer. Maybe I should have explained the cancer was caused by the radiation received to stop the tumors I had as a baby, but instead, I thanked them for their concern. Marlett went back to work shortly after learning of Prince’s death. Working at home on days like this has some advantages; I can play my music as loud as I choose without bothering anyone. Of course, it was an all Prince Playlist. In general, I think I have a healthy outlook on death. I know I’m not scared of it for myself… that would truly be a waste of my time. It will happen eventually, and God forbid something happens in the not so distant future… no, I did not prophesize my own death. Death, as I explained to my youngest daughter when she came home from school, is sad for those of us who remain. Those who pass on have no control of that. I just hope for them that they had a chance to do what they enjoyed and make an impact on someone. Prince definitely did that. watch a performance, well; There is Graffiti Bridge… I’m just saying’… too soon? Thinks they have the meanest Let’s go Crazy air guitar solo? Almost suffered an aneurism trying to imitate a Prince falsetto? 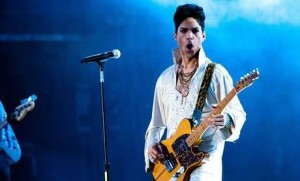 Attempted one of Prince’s dance moves and bust your knee, split your pants or worse fellas? By all means, let’s be mindful of our individual health. And while we are doing that, celebrate the life of Prince and all those artists we love so much. Personally, I’m going to keep listening, dancing, and working on my falsetto and say thank you for the music which will live on!